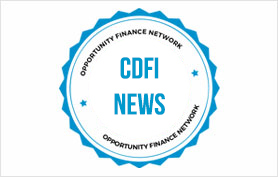 Cloud data services company NetApp recently announced a $10 million investment to build and preserve low-cost housing in the Bay Area as part of OFN member Housing Trust Silicon Valley’s TECH Fund. The move makes NetApp the latest in a string of local tech companies to address the housing crisis, as skyrocketing home and rent costs make it increasingly difficult for low- and middle-income workers to live there. The Housing Trust set out to raise $50 million for affordable housing when it launched the TECH Fund in 2017. It finally passed that benchmark in November—nearly two years later. Tech companies increasingly are feeling pressure to help ease the crisis, as many local residents blame cash-flush tech workers for driving up housing prices. Cisco kicked off the TECH Fund with an initial $10 million investment, followed by contributions from the Sobrato Family Foundation, the David & Lucile Packard Foundation, LinkedIn, the Grove Foundation and Pure Storage. In January, Microsoft pledged $500 million for housing in the Seattle area, a move the company said was inspired in part by the TECH Fund.